Peer through the foliage to discover all stratums of the garden landscape: from soaring birds and fluttering dragonflies, rustling leaves and towering blooms, right down to scattering bugs and wriggling worms. Welcome to The Garden of Earthly Delights! This November, Saint Cloche Gallery Paddington is proud to present Adriana Picker’s much-anticipated solo show, The Garden of Earthly Delights. Adriana Picker is a celebrated commercial illustrator working across the publishing, motion picture, and advertising industries. 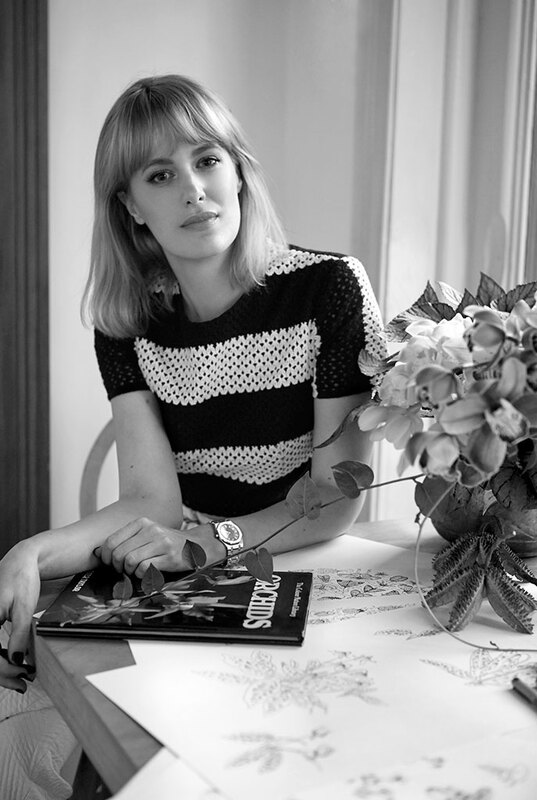 She illustrated Quay chef Peter Gilmore’s second book, Organum, and has provided her talent to clients such as Absolut Vodka, Catherine Martin Home, and Gourmet traveller magazine. Adriana has also worked as costume illustrator for feature films such as Mad Max and The Great Gatsby. 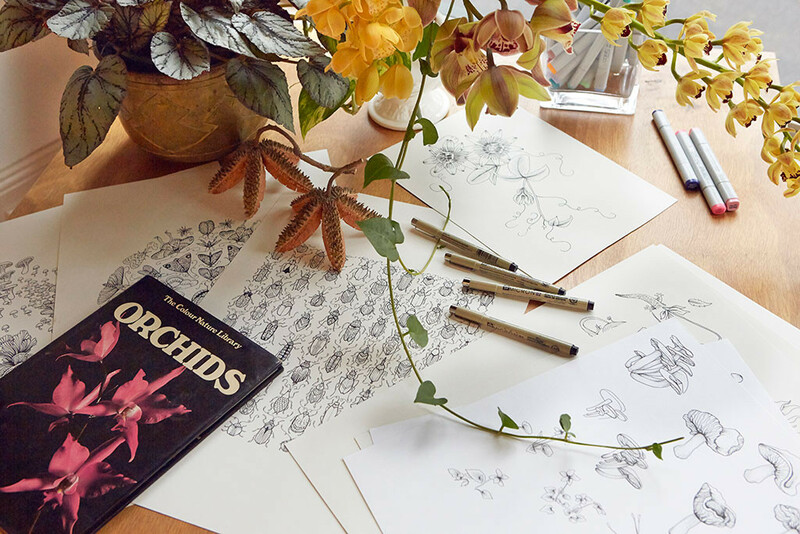 At the heart of Adriana’s work is a lifelong love of botanical Illustration. 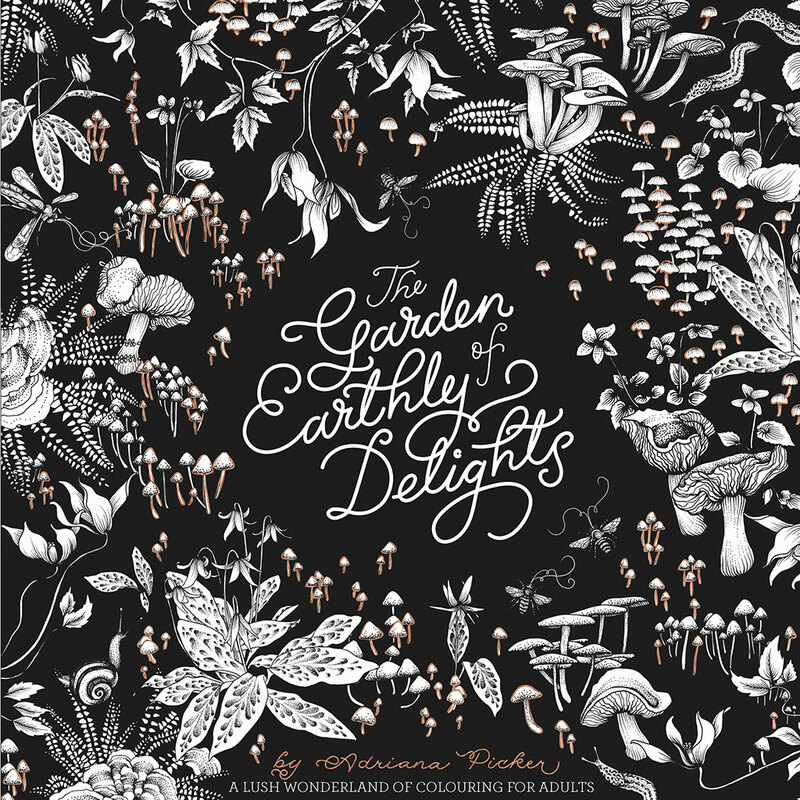 The Garden of Earthly Delights represents the culmination of two months intensive illustration work for Adriana’s first colouring book for adults of the same title to be published by Hardie Grant and available in Australia, October 2015. In The Garden of Earthly Delights flowers bloom, lizards leap; bees swarm and mushrooms emerge in this earthy exploration of the natural world. Take your time to discover every intricately drawn petal, leaf, moth, worm and bug to help you centre yourself on firm ground. For the exhibition, renowned Sydney florist and artist Dr. Lisa Cooper will respond to Adriana’s work with an installation titled ‘Flower Drawing’. To celebrate the launch of the book and the show, Saint Cloche will be running a grown-up colouring competition, where the winner will receive an original drawing of Adriana’s! Colour it in using your choice of pencils, pens, paints etc. Prizes include: An Adriana Picker original drawing, The Sydney Art store $200 Gift Card, Saint Cloche $150 Gift Card (for spend on art only), and copies of The Garden of Earthly Delights colouring book. Entries close 23 November 2015. For for terms & conditions, please see colouring competition PDF file.